Step out of the city life by going to Sam's Point Preserve and Quogue Wildlife Refuge. For shopping fun, head to Golden Fish Gallery or Chelsea Market. Get out of town with these interesting New York City side-trips: Wertheim National Wildlife Refuge (in Shirley), Peconic River Herb Farm (in Calverton) and Wolf Conservation Center (in South Salem). To plan New York City vacation without wasting time, ask Inspirock to design an itinerary. Gothenburg, Sweden to New York City is an approximately 14-hour flight. You can also do a combination of flight and bus; or do a combination of train and flight. You'll gain 6 hours traveling from Gothenburg to New York City due to the time zone difference. In June, New York City is a bit warmer than Gothenburg - with highs of 31°C and lows of 21°C. Finish up your sightseeing early on the 17th (Mon) so you can travel to Washington DC. Start off your visit on the 18th (Tue): see the interesting displays at National Air and Space Museum, get to know the fascinating history of Capitol Hill, and then wander the streets of Georgetown. Here are some ideas for day two: look for all kinds of wild species at Jug Bay Wetlands Sanctuary, then take a stroll through Old Town, and then appreciate the extensive heritage of Tomb of the Unknowns. For more things to do, where to stay, ratings, and other tourist information, use the Washington DC online road trip planner . You can fly from New York City to Washington DC in 3.5 hours. Alternatively, you can do a combination of bus and flight; or drive. Traveling from New York City in June, you will find days in Washington DC are a bit warmer (35°C), and nights are about the same (24°C). Wrap up your sightseeing on the 20th (Thu) to allow time to travel to Miami. Shop till you drop at Lincoln Road and Bal Harbour Shops. 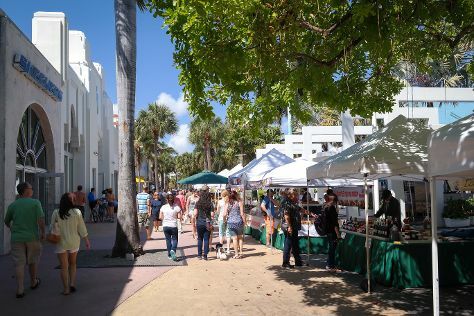 Art Deco Historic District and Ocean Drive are good opportunities to explore the local culture. Explore Miami's surroundings by going to Everglades National Park (in Florida City), John D. MacArthur Beach State Park (in North Palm Beach) and Everglades National Park (Anhinga Trail & Slough Slog). There's more to do: kick back and relax at South Beach and tour the pleasant surroundings at Haulover Beach Park. To see where to stay, more things to do, photos, and tourist information, use the Miami trip planner . Getting from Washington DC to Miami by flight takes about 4.5 hours. Other options: do a combination of train and flight; or drive. Plan for a bit warmer nights when traveling from Washington DC in June since evenings lows in Miami dip to 29°C. 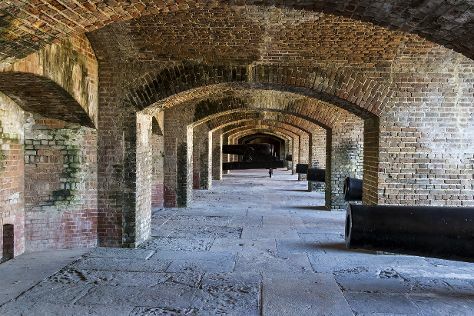 Wrap up your sightseeing on the 25th (Tue) early enough to travel to Key West. Start off your visit on the 26th (Wed): identify plant and animal life at Key West Butterfly & Nature Conservatory, then see the interesting displays at The Ernest Hemingway Home and Museum, then brush up on your military savvy at U.S. Coast Guard Cutter Ingham Maritime Museum, and finally immerse yourself in nature at Fort Zachary Taylor. To find reviews, photos, ratings, and other tourist information, read our Key West online holiday planner . You can fly from Miami to Key West in 2.5 hours. Other options are to do a combination of bus and flight; or drive. In June, plan for daily highs up to 36°C, and evening lows to 30°C. Finish your sightseeing early on the 26th (Wed) so you can travel to Houston. Eschew the tourist crowds and head to Orlando Premium Outlets - Vineland Avenue and World of Disney. 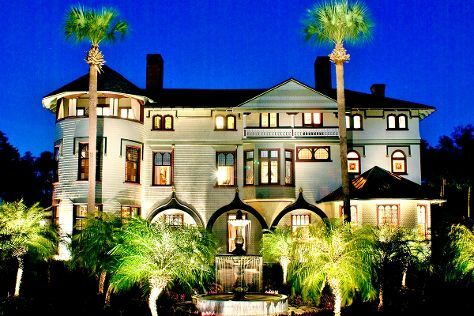 Satisfy your inner culture vulture at International Drive and Stetson Mansion. Explore Orlando's surroundings by going to Ponce de Leon Inlet Lighthouse & Museum (in Ponce Inlet), Scuba & Snorkeling (in Crystal River) and St. Barnabas Episcopal Church (in DeLand). There's still lots to do: browse the different shops at The Florida Mall, make an unforgettable trip to Happily Ever After Fireworks, and get in on the family fun at SeaWorld Orlando. To find traveler tips, reviews, maps, and tourist information, read Orlando online trip planner . Drive from Key West to Orlando in 7.5 hours. Alternatively, you can take a bus; or do a combination of bus and train. Traveling from Key West in June, expect a bit cooler with lows of 26°C in Orlando. On the 1st (Mon), wrap the sightseeing up by early afternoon so you can drive to Houston. You'll explore the less-touristy side of things at Washington-on-the-Brazos and Crystal Beach. Venture out of the city with trips to Huntsville State Park (in Huntsville), Old Town Spring (in Spring) and Houston Premium Outlets (in Cypress). There's still lots to do: explore the world behind art at Bayou Bend Collection and Gardens. For photos, reviews, more things to do, and other tourist information, refer to the Houston route site . Getting from Orlando to Houston by car takes about 16 hours. Other options: take a bus. The time zone difference moving from Eastern Standard Time to Central Standard Time is minus 1 hour. July in Houston sees daily highs of 41°C and lows of 29°C at night. Cap off your sightseeing on the 5th (Fri) early enough to travel to Dallas. Start off your visit on the 5th (Fri): steep yourself in history at Fort Worth Stockyards National Historic District and then see the interesting displays at The Sixth Floor Museum at Dealey Plaza. Get ready for a full day of sightseeing on the next day: explore the striking landscape of Arbor Hills Nature Preserve. To find reviews, more things to do, and more tourist information, read our Dallas itinerary maker app . You can fly from Houston to Dallas in 4 hours. Other options are to take a bus; or drive. In July, daytime highs in Dallas are 41°C, while nighttime lows are 30°C. You'll set off for Denver on the 7th (Sun). Step off the beaten path and head to Trail Ridge Road and River Rafting & Tubing. Take a break from the city and head to Emerald Lake Trail and Many Parks Curve Overlook. Explore the numerous day-trip ideas around Denver: Estes Park (Kirks Flyshop & Mountain Adventures & Snowy Peaks Winery). And it doesn't end there: ski along the peaceful trails at Cherry Creek State Park, identify plant and animal life at Butterfly Pavilion and Insect Center, and explore the world behind art at Denver Art Museum. To see more things to do, where to stay, traveler tips, and more tourist information, read our Denver sightseeing planner. Traveling by flight from Dallas to Denver takes 4.5 hours. Alternatively, you can do a combination of flight and bus; or drive. The time zone changes from Central Standard Time to Mountain Standard Time, which is usually a -1 hour difference. Expect slightly colder temperatures when traveling from Dallas in July; daily highs in Denver reach 36°C and lows reach 18°C. Wrap up your sightseeing on the 11th (Thu) to allow time to travel to Las Vegas. You'll explore the less-touristy side of things at Valley of Fire State Park and Bellagio Conservatory & Botanical Gardens. Get a sense of the local culture at The Strip and Madame Tussauds - Las Vegas. Explore the numerous day-trip ideas around Las Vegas: Willow Beach (in Fort Mohave) and Grapevine Mesa Joshua Trees (in Meadview). And it doesn't end there: explore the stunning scenery at Red Rock Canyon National Conservation Area, try to win big at Paris Las Vegas, make a trip to Bellagio Fountains, and see the interesting displays at Pinball Hall of Fame. To see ratings, maps, photos, and other tourist information, read our Las Vegas day trip planning app . You can do a combination of train and flight from Denver to Las Vegas in 4.5 hours. Other options are to do a combination of bus and flight; or drive. The time zone changes from Mountain Standard Time (MST) to Pacific Standard Time (PST), which is usually a -1 hour difference. Traveling from Denver in July, expect nights in Las Vegas to be much warmer, around 32°C, while days are somewhat warmer, around 47°C. Wrap up your sightseeing on the 16th (Tue) early enough to travel to Los Angeles. Your itinerary includes some good beach time at Venice Beach and Boardwalk and Carpinteria State Beach. Your cultural itinerary includes sights like The Getty Center and Santa Monica Pier. Get out of town with these interesting Los Angeles side-trips: El Matador State Beach (in Malibu), Dolphin & Whale Watching (in Oceanside) and Mission San Juan Capistrano (in San Juan Capistrano). There's much more to do: stop by Amoeba Music, appreciate the extensive heritage of Hollywood Walk of Fame, browse the different shops at The Grove, and grab your bike and head to Carpenteria Bluffs Nature Preserve. To find maps, photos, more things to do, and tourist information, use the Los Angeles trip itinerary maker tool . Fly from Las Vegas to Los Angeles in 4 hours. Alternatively, you can fly; or drive. Expect much colder weather when traveling from Las Vegas in July: highs in Los Angeles hover around 33°C, while lows dip to 22°C. Finish your sightseeing early on the 21st (Sun) so you can travel to Yosemite National Park. Start off your visit on the 22nd (Mon): tour the pleasant surroundings at Lower Yosemite Fall Trail and then admire the sheer force of Yosemite Falls. To find photos, traveler tips, maps, and other tourist information, go to the Yosemite National Park visit planner . You can do a combination of flight and car from Los Angeles to Yosemite National Park in 4.5 hours. Alternatively, you can drive; or do a combination of flight, bus, and taxi. Traveling from Los Angeles in July, you can expect nighttime temperatures to be colder in Yosemite National Park, with lows of 9°C. Finish up your sightseeing early on the 22nd (Mon) so you can go by car to San Francisco. You'll get in some beach time at Bodega Dunes and Pinnacle Gulch Coastal Access Trail. Head to Union Square and Ferry Building Marketplacefor some retail therapy. Change things up with these side-trips from San Francisco: Armstrong Redwood State Reserve (in Guerneville) and Goat Rock Beach (in Jenner). There's more to do: steep yourself in history at Alcatraz Island and take your sightseeing to a higher altitude at Twin Peaks. To find traveler tips, photos, more things to do, and other tourist information, go to the San Francisco driving holiday planning tool . Traveling by car from Yosemite National Park to San Francisco takes 4 hours. Alternatively, you can take a bus; or do a combination of taxi, bus, flight, and subway. When traveling from Yosemite National Park in July, plan for a bit cooler days and a bit warmer nights in San Francisco: temperatures range from 26°C by day to 16°C at night. Wrap up your sightseeing by early afternoon on the 26th (Fri) to allow time for travel back home.